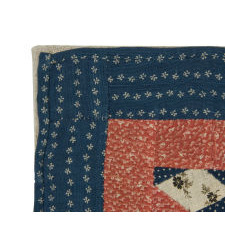 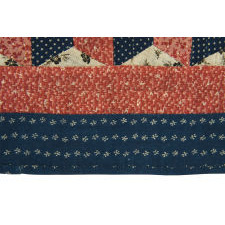 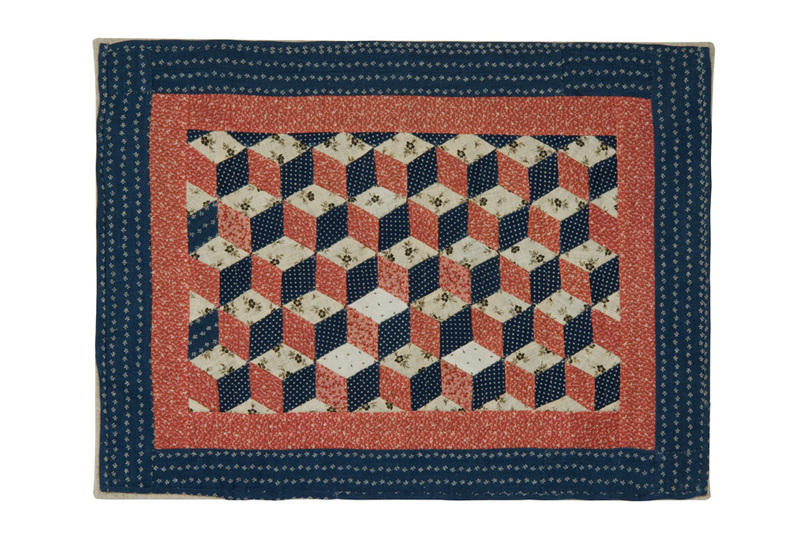 Dimensions (inches): 11.5" x 15.25" x 1.25"
Constructed in the pattern called "tumbling blocks", this tiny Pennsylvania doll quilt is as exceptional as anyone could wish for in an example of the Civil War or Reconstruction era (1860-1876). 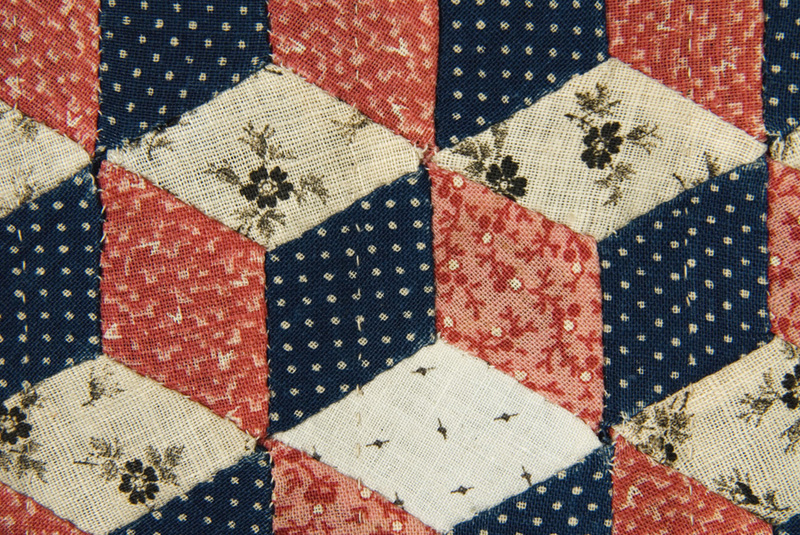 The finely pieced fabrics include two different types of black and white men's calico shirting, double-pink calico, and two different styles of blue and white calico, one of which has 5-armed floral shapes that are strongly reminiscent of stars. 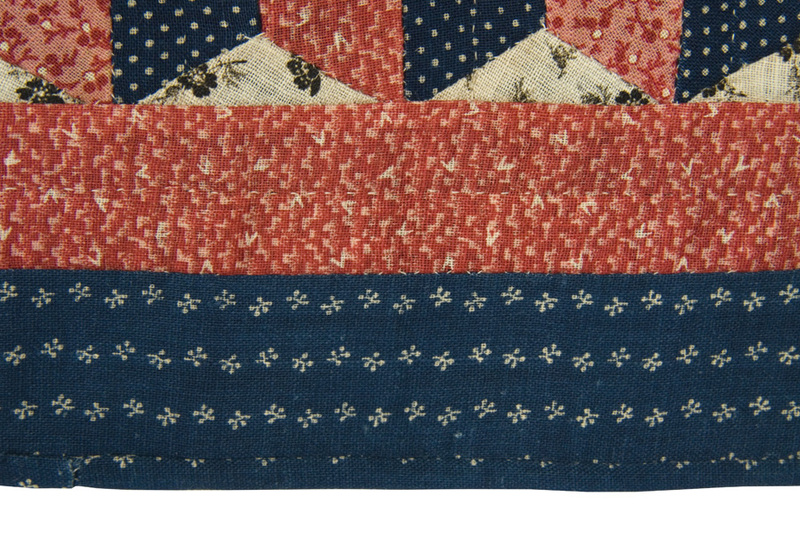 Because of this feature, and because the pink is so similar to the faded red cotton seen in many American flags of this era, the overall effect is especially patriotic. 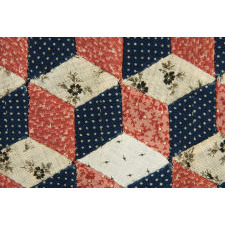 The geometric pattern is one used by quilters in the latter half of the 19th century, but it is simultaneously modern. 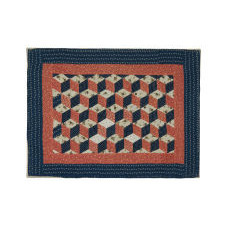 It's not unlike an Escher drawing and visually compelling. 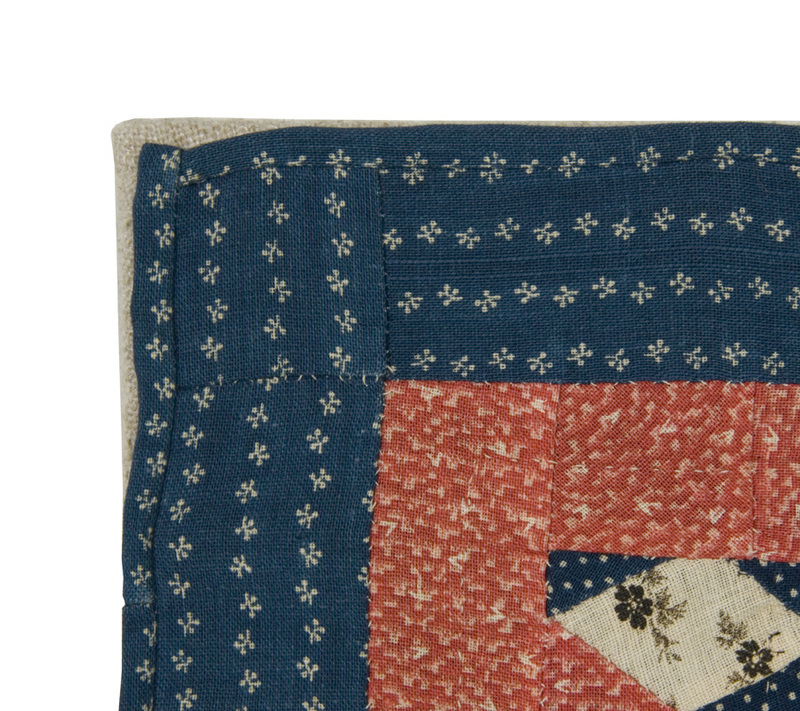 Mounting: The quilt has been professionally mounted on a strainer frame in a similar fashion to a hooked rug.